Cyclists ride bike path along Ipanema Beach, Rio de Janeiro, Brazil. Photo by peskymonkey. Q1. How can we tackle the problem of rising obesity and physical inactivity through transport? Lack of physical activity contributes to 3.2 million deaths annually, yet just 150 minutes of physical activity per week – about 20 minutes per day – can improve health and reduce the risk of disease. A study by the New York City Department of Health showed that those who take mass transport, cycle and walk as their main form of transport, receive more physical activity than those who rely on cars. Physical activity can be promoted in neighborhoods through access to mass transport, bike and pedestrian paths, safe streets, connectivity between different transport modes, and a compact mix of housing, retail, parks and offices. One study showed that Barcelona’s Bicing bike sharing system saved an estimated 12 lives per year, mostly by getting people out of their cars and active on the streets. Q2. How can sustainable transport save lives? Traffic accidents claim over 1.3 million lives around the globe each year. Research has shown that more distance traveled in individual vehicles leads to more traffic fatalities. Thus, mobility can be made safer by reducing car travel and moving people through safely designed mass transport, walking, and biking infrastructure. In Guadalajara, Mexico, for example, just one lane of their corridor with an advanced bus system called Macrobus transports 5,000 passengers per hour, in each direction. Normal traffic lanes can only accommodate 3,194 passengers per hour and were the locus of 726 crashes in 2011. The advanced bus system saw only 6 accidents in the same year. At the core of its road safety work, EMBARQ has undertaken policy initiatives bridging high-level declarations to real change in cities. In 2010, as a member of the United Nations Road Safety Collaboration Group, EMBARQ worked to include mobility and sustainable transport in the Global Plan for the Decade of Action on Road Safety while working with national to local governments to put these international goals on the ground in countries. EMBARQ, together with the Association for Safe International Travel, Global Road Safety Partnership, Johns Hopkins School of Public Health, World Bank Global Road Safety Facility, and the World Health Organization, is part of the Bloomberg Global Road Safety Program, which works to improve road safety in the ten countries that make up almost 50 percent of all road traffic fatalities. Q3. What do we need to do to make urban areas safer? Thoughtful design that protects all road users — especially pedestrians and bicyclists — is crucial and can be achieved in ways ranging from improved crossings and intersections to traffic calming that reduces high impact crashes. Organizations like EMBARQ can work with local governments to implement urban codes supportive of mixed land use (less dependent on automobile use), street connectivity, and safe “street hierarchies,” which simply means designing streets that are appropriate for their use and context. High-speed arterial roads may be convenient and necessary for traffic patterns but should never be shared with pedestrians, cyclists, or implemented in areas with schools or hospitals, for example. It is a recipe for disaster. These areas require strict speed limits, more intersections, and safe and plentiful crossing opportunities. Long blocks without intersections naturally lead to longer distances traveled and more jay-walking mid-block. Q4. How can safe transport contribute to the culture and identity of a city? Striving to make more walkable and vibrant cities, EMBARQ Turkey has played a role in the pedestrianization of Istanbul’s Historic Peninsula, a United Nations World Heritage site which is home to thousands of residents, workers, and tourists. EMBARQ is now helping to plan and program the areas to ensure their vibrancy. In light of increasing air pollution, long commute times, and a desire to preserve its cultural and historic assets, the city of Arequipa, Peru — also classified a UNESCO World Heritage site — took the initiative to implement an advanced bus system and completely pedestrianize the first four blocks of Mercaderes, the main shopping street in downtown Arequipa. 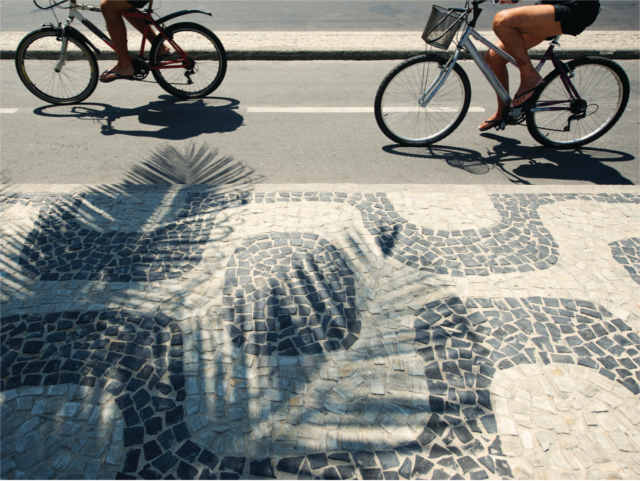 In the slums, or favelas, of Rio de Janeiro, Brazil, bicycling and walking are already rooted into the lifestyle and urban fabric, which creates enormous potential for the further leveraging of non-motorized solutions. In order to keep cycling a popular mode of transport, the favelas can concentrate on improving bike lanes and infrastructure and increasing connectivity of the bike infrastructure to the central city, other modes of mass transit, and popular locations like stores and malls. Q5. Are there additional benefits of improving road safety through sustainable transport? According to the World Health Organization, 1.3 million deaths occur each year from the effects of urban outdoor air pollution, with vehicles being one of the major emitters of deadly pollutants, such as fine particulate matter (PM2.5). This dirty air can irritate lungs, worsen asthma and emphysema, and increase the risk of heart attacks and premature deaths. Shifting trips to mass transit, biking and walking, as well as improving vehicle and fuel technologies, can reduce exposure to air pollution and lengthen life span — thereby offering benefits for both human health and efforts to fight climate change. 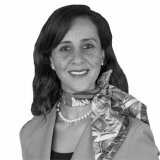 Claudia Adriazola-Steil is Director of the Health & Road Safety Program at EMBARQ.